Propaganda poster for RPC-664 event, recovered after clearing an outbreak in ██████, ██. Containment Protocols: Due to the widespread nature of RPC-664, permanent containment is currently unfeasible. The current containment protocols for RPC-664 are primarily focused on identification of areas where RPC-664 is practiced and eliminating all propaganda relating to RPC-664 in order to reduce the number of civilians affected. Any located civilians in areas where RPC-664 has been practiced must be administered Class-C amnestics following any investigation by Authority personnel. Should an event be located where individuals are partaking in RPC-664, Authority personnel are instructed to shut down the event by any means necessary in order to prevent RPC-664 from spreading. Any instances of species known to be involved in RPC-664 found near the event are to be immediately terminated upon discovery. Any digital images or mention of participation in RPC-664 in a location monitored by the Authority are to be reported immediately to Head Researcher Terrance. Communication about RPC-664 relayed over a digital connection (such as from radio stations or television programs) must be intercepted by Authority blocking programs. All physical propaganda promoting RPC-664 participation must be immediately destroyed upon location. Description: RPC-664 is the designation for a proprioceptive memetic hazard in the form of a trend known as "Worm Snorting". The origins of this trend are unclear, as no central individual responsible for the propagation of RPC-664 has been identified, but Authority studies have noted that outbreaks of RPC-664 tend to begin in densely populated urban areas, specifically large cities. To date, approximately 79% of reported RPC-664 outbreaks have taken place in cities with a population of at least 50,000 citizens in residence. Participation in the trend known as RPC-664 involves an individual inhaling members of the Lumbricid family of invertebrates1 through the nasal passages. Lumbricids inhaled through this manner are referred to as instances of RPC-664-1. Further and quicker deterioration of the various lobes of the brain as more instances of RPC-664-1 enter the cranial cavity. Human brain in beginning stages of consumption by instances of RPC-664-1. Note large holes in cranial lobes. Although instances of RPC-664-1 will consume various lobes of the brain required for basic functions, individuals affected by RPC-664 will not show signs of the loss of these functions until the entire brain is consumed. Instances of RPC-664-1 will typically remain in the affected individual's cranial cavity until the subject's brainstem is fully consumed, at which point instances of RPC-664-1 will begin to multiply and spread throughout the individual's body. Individuals at this state of infection are fully controlled by instances of RPC-664-1 moving throughout their bodies, and lose all control of the motor and cranial functions. These individuals act as vessels to transport instances of RPC-664-1 across long distances in order to spread RPC-664. These individuals will often attempt to host events where RPC-664 participation will take place, as well as create propaganda promoting the anomaly. Instances of RPC-664-1 are able to enter and leave the bodies of individuals in this state and can be inhaled as part of RPC-664 participation in order to create more affected individuals and instances of RPC-664-1. Once all instances of RPC-664-1 have left an individual's body, the individual will experience symptoms similar to those of complete brain death and will fall into a catatonic state of unconsciousness. This state will last until an instance of RPC-664-1 reenters the individual's cranial cavity, after which the instance will multiply and regain control over the individual. Propaganda advertising RPC-664 is mostly created by those affected by it2 , and thus can often be traced to certain individuals affected by RPC-664 seeking to spread knowledge of the anomaly. However, instances where propaganda cannot be traced to an existing individual, have been reported. The following document is an article printed in ██████ Magazine on August 22, 20██, which Authority records identify as one of the first examples of RPC-664 being displayed in media. If there's one thing that humans love, it's trying new things, no matter how strange they are, in pursuit of pleasure. We do so many odd things to satisfy our primal urge for happiness. We jump out of planes, stare in front of screens for hours, and even inject horrific cocktails of substances into our bodies all for the sake of pleasure. So when I heard that a bizarre new trend was making the rounds in our offices, I was shocked to discover that trend was probably one of the most unique I've seen in some time. 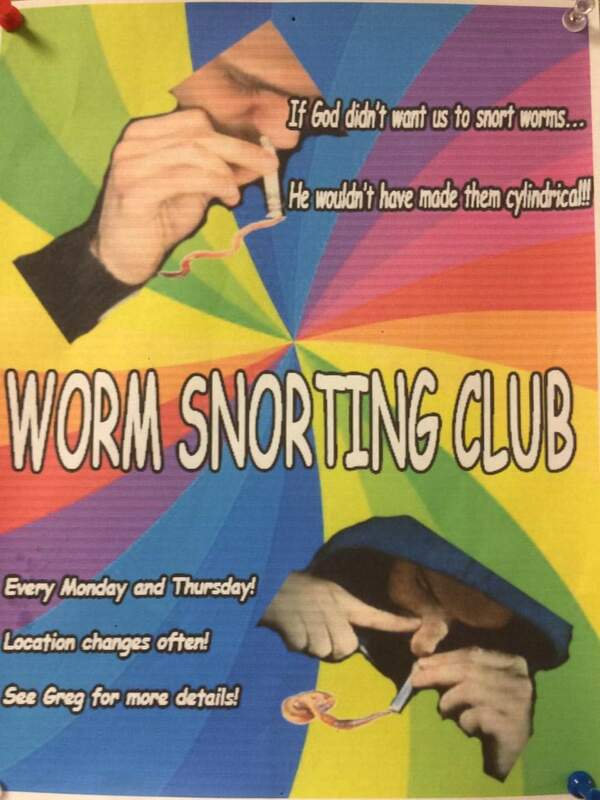 This trend is known as Worm Snorting, and despite the odd name, it's one of my favorite new hobbies. I was skeptical at first, especially when I noticed how ridiculous it sounded- but as time went by, and more of my co-workers got into it, I started to become intrigued. It's like there was this unexplainable urge to see what all the fuss was about- and speaking from experience, while this hobby may sound disgusting on the surface, the truth is that it's a completely harmless source of enjoyment that everyone can enjoy. But I guess it's one of those things that you don't understand until you try it. The first time I watched someone snort a worm, I was utterly confused and disgusted- why wouldn't we be? Letting that slimy thing crawl up your nose seems a bit gross. But the more I watched how much other people enjoyed it, the more curious I became. What was it, I wondered, that kept them coming back to it? And why was there a crawling feeling in my brain that made me want to feel it firsthand? And so, with the guidance of some friends, I decided to give it a shot myself. I took an earthworm from one of my co-workers and inhaled the thing whole. It seemed wrong at first… but then the tingling set in. It was the greatest feeling I've ever experienced. The moment the icky invertebrate went up my nose, I felt a surge of pleasure hit my body- more than I had felt even with the finest gourmet foods I had eaten or my most treasured nights of passion. It was amazing. Was there something in the worms that made me love them? Maybe. But the important thing was that I wanted more. The tingling started in my nose and moved up into my head. I felt my eyes, my forehead, and my ears tingle with pleasure. The more I gave in to the trend, the better I felt. Even so, by participating in the hobby, I was curious. What was it about this process that made me love it so much? But the instant I felt the tingling move up into my brain, it made everything clear. It was because this was the way things were meant to be. This wasn't just for humans…. it was for the worms too. Suddenly it all made sense when I let the worms into my head. It's genius, really. I'm surprised we didn't see it all sooner. We all know that worms are decomposers- they feed off the nutrients in dead things, especially living organisms. In most cases, this relationship only benefits the decomposers themselves, as we're all typically dead before we can get any benefit out of the arrangement. Don't you see? We're all going to be their meal someday anyways. All they're doing is helping us accept it, and make the process go faster. It's a win-win: they get their meal either way and in return, we can accept this happening to us and enjoy the process as much as they do. I highly recommend everyone reading this try worm snorting at least once. Not only is it pleasurable to us humans, but it's good for the worms too. If you're not sure where to start, look around your community for events advertising this hot new trend, and join in as soon as you can- for the good of both of our species. Upon investigating the offices of ██████ Magazine, Authority investigators reported the discovery of numerous individuals partaking in RPC-664, as well as three deceased staff members. 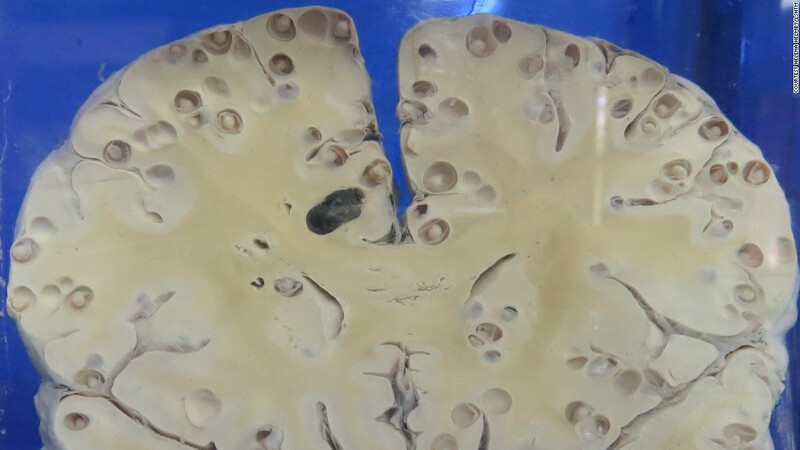 Autopsy examinations have shown that the corpses of these individuals all suffered severe damage to the brainstem and frontal lobe of the brain. The affected building was quickly fumigated to eliminate any remaining instances of RPC-664-1. Recovered building records, as well as Authority archival information, did not contain any information relating to the identity of the responsible publisher. Discovery: The first recorded instance of an RPC-664 event was in Memphis, Tennessee, after a string of reports detailing individuals partaking in RPC-664 drew the attention of local Authority embeds. According to individuals who were detained for partaking in RPC-664, a radio broadcast advertising a 'first look at a hot new trend' was reported to have played on a local radio station. Upon arriving at the location specified in the advertisement, instances of RPC-664-1 were distributed by unknown means to the affected individuals, who then partook in RPC-664. The organizer for this event has never been identified, nor has the original radio broadcast been discovered. 1. The most commonly noted species inhaled in RPC-664 participation is Lubricous Terrestris, the Common Earthworm, although other species of worms have been identified. 2. Examples include handmade posters, online videos, or websites advertising events where participation in RPC-664 takes place.